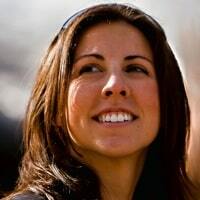 Alexa is Founder and Principal of Bach-McElrone Consulting, providing sustainability and communications advice in the San Francisco Bay area and beyond. Driven by her passion to promote sustainable development, she has dedicated her career to delivering knowledge, skills, and resources to those who need them most. From assessing the efficacy of indigenous rights law and policy in New Zealand, to designing a sustainable resort community in the Bahamas, or orchestrating a strategic communications program for a new ecotourism venture, she is committed to cultivating real, replicable change. Alexa collaborates with those who truly care and pursues work that makes a profound, positive impact. Diverse experience as a conservation biologist, business advisor, policy analyst, and communications specialist enables her to translate between disciplines, to wear many hats, and to transform libraries of data into concise, meaningful messages for all stakeholders. Alexa earned her master’s degree in sustainable development from Duke University and has spent the last decade helping responsible entities build better businesses and more sustainable communities worldwide. Obstetric hemorrhaging is the leading cause of maternal death worldwide; every four minutes a woman dies from unstoppable bleeding during delivery. But about half of those deaths could be prevented using a new, incredibly simple first aid device called a LifeWrap—picture a scuba-style wetsuit sliced into strips that Velcro around a woman’s lower body.